Computational cognitive science studies the computational basis of learning, thought, and intelligence. New York University offers one of the top worldwide environments for training in this area. 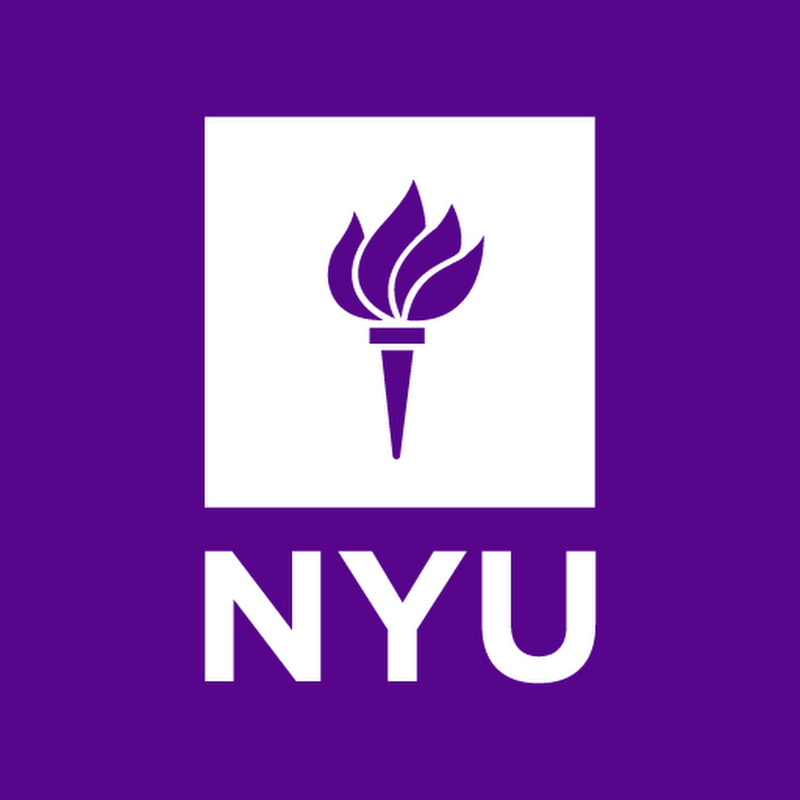 The purpose of this page is to give an overview of some of the resources available at NYU for prospective MA or Phd students. In addition, this page can be useful for NYU undergraduates interested in getting involved in research. What is computational cognitive science? We often think of our intelligence as one factor that distinguishes us from other animals. Humans write songs, build complex technologies, and communicate with language. However, when we attempt to more specifically define what makes us unique in this sense we often are forced to realize that there is intelligence in systems besides humans. Certainly animals show certain types of intelligent behavior (e.g., simple problem solving, complex and adaptive movements). In addition, we increasingly interact with artificial systems like our smartphone or computer which display elements of intelligence as well (e.g., understanding spoken language, planning out the best way to get home, etc...). Computational cognitive science is the interdisciplinary study of intelligence that recognizes that intelligence is a property of many sufficiently complex systems. The key insight that unites this field of study is the idea that intelligence is best described in terms of computational systems (i.e., computer algorithms or programs). As a result, this field of study brings together many disparate fields interested in computation including computer science, data science, neuroscience, linguistics, psychology, and philosophy. Research in computational cognitive science thus lies at the intersection of technological engineering and the social sciences and humanities. Researchers in this area attempt to understand what makes us human by leveraging cutting edge developments in technology. Looking forward, computational cognitive science is likely to transform not only what we know about ourselves but also the kinds of future technologies that will inhabit our cities, homes, offices, pockets, and even bodies. I build computational models of everyday cognitive abilities, focusing on problems that are easier for people than they are for machines. How do people learn such rich concepts from very little data? People can learn a new concept from just one or a handful of examples, whereas standard AI algorithms require a lot more data. A single example of a new visual concept (red box) can be enough information for a person to grasp the boundaries of the concept and generalize in a rich variety of ways (e.g., classification, generation, parsing). We are developing new computational models to capture these remarkable human learning abilities, combining the strengths of Bayesian program learning and deep generative neural networks. I am interested in self-teaching intelligent systems and applications of cognitive science to education. How can we optimize human learning and memory? In the OMNI project (funded by NSF) we have been trying to develop Bayesian models that can decode the mnemonic status of individual items in memory using fMRI (i.e.,predict what you do or do not know without asking you). We then attempt to use that information to devise optimal ways to improve people’s memory using the models. I study artificial neural network models for natural language understanding. Can we learn the grammatical structures of sentences by reading text? In the project Latent Structure Learning for Natural Language (funded by Samsung), we are developing methods to train a parser to produce hierarchical structures for sentences that optimally support sentence understanding, rather than training it to reproduce expert-annotated treebank data. I am interested in human decision-making under uncertainty, in particular in deviations from optimality. How do people navigate large decision trees? Planning sequences of actions is an important cognitive function, but is complicated by the vast number of possibilities in the decision tree. We use a simple tic-tac-toe-like game combined with AI-inspired computational models to investigate how humans meet this challenge. Fig. shows example board position in the experimental game, with overlaid the eye trajectory of the player with the black pieces. A larger circle means a longer fixation. The open circle indicates the player's eventual move. I am interested in causal reasoning and learning and the use of causal graphics models (a.k.a., Bayesian networks) as a candidate theory of people’s abilities in these areas. How can people reason efficiently with causal graphical models? Using computational sampling methods such as MCMC, my lab has developed a model named the mutation sampler, a rational process model of human causal reasoning that explains both the general veridicality of people’s causal inferences and the systematic errors they make. What resources make NYU a particularly great place to study computational cognitive science? In addition to these academic resources, New York City is an excellent place to for exploring relationships with industry research. Many of the faculty listed above have affiliations with major AI research labs in the city. In addition, there is a vibrant startup culture in New York City and students often have the opportunity to do internships with local companies prior to graduation. What are some of the course offerings relevant at NYU? Students at NYU are also often able to enroll in classes at Columbia University where faculty such as David Blei and Andrew Gelman teach courses on advanced statistical methods and computational modeling. How to get involved - F.A.Q. If you are interesting in studying these topics at NYU here are the answers to some frequently asked questions. I am an undergraduate at NYU, how to do I get involved in this research? Most of the faculty listed above involve undergraduates in their research. One approach is to reach out to a professor working in an area that interests you via email. There may be paid or unpaid research projects you can help with even early in your undergraduate career. In fact, starting to get involved in undergraduate research early (e.g., sophomore year) can help you build the knowledge and skills to later apply to graduate school. It is also useful to think about what types of classes to take as an undergraduate which will help build your knowledge and skills. You might consider talking with a professor about the types of courses they recommend. At minimum, students working this area will benefit from experience with computer programming classes, as well as fundamental mathematical courses such as linear algebra, combinatorics, and signal processing. How do I apply to NYU's graduate school to study this topic? While there is no "cognitive science" graduate program at NYU, interested candidates can apply through the following programs: Ph.D. Program in Cognition and Perception (deadline is Dec. 1, 2017), the Ph.D. program in Data Science (deadline is Dec. 18, 2017), or the Ph.D. program in neural science (deadline is Dec. 1, 2017). University policy dictates that you may only apply to one program at a time, and we suggest that you choose carefully! If you have question you might reach out to a faculty member most related to your interests and get their advice. What is the NYU graduate funding situation like? It depends a bit on the program that you apply to. Detailed questions about this should be referred to the individual program you apply to (see the links above). At the present time, students accepted through the Center for Data Science, the Center for Neural Science, or Psychology are usually offered five years of guaranteed support including a stipend and tuition costs (see here for the details from GSAS). In addition, first year students are usually offered subsidized student housing in Manhattan close to the university.